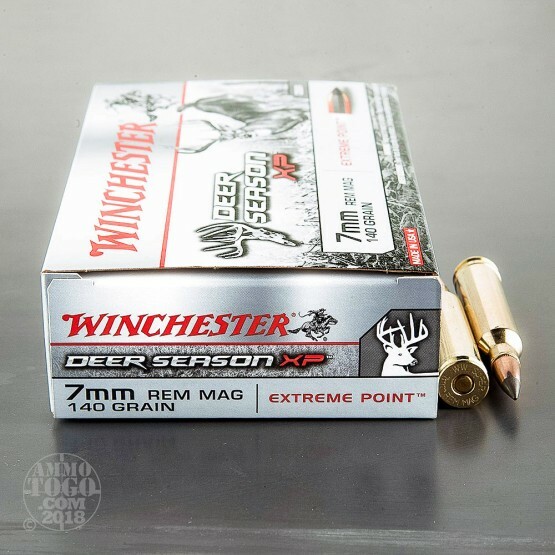 It's deer season and you need an effective hunting load for your rifle. 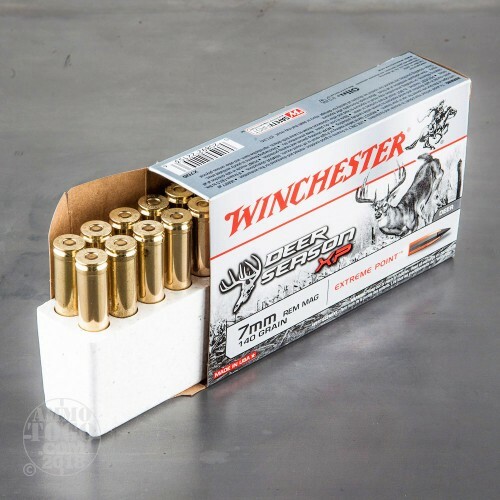 These 7mm Remington Magnum cartridges from Winchester fit the bill perfectly. 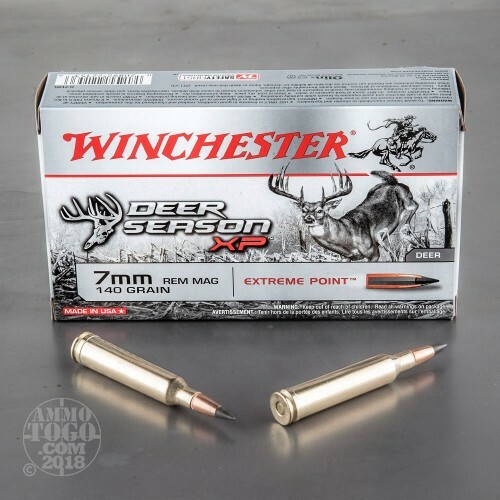 They're optimized especially for whitetail, blacktail, and mule deer and deliver just the right amount of penetration and expansion to bring down these targets quickly and cleanly. 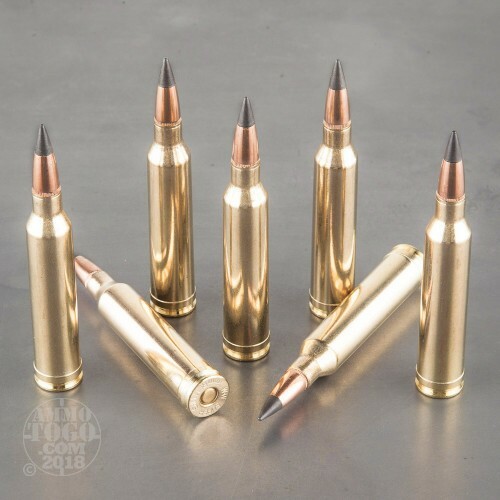 Each cartridge fires a 140 grain bullet with a broad polymer tip that hastens the expansion process, forcing the lead alloy core to mushroom for maximum efficiency. These cartridges use non-corrosive Boxer primers and brass cases.